Bookeasy has introduced a new live chat feature into the Bookeasy Staff Console. Powered by Freshchat, this feature provides Bookeasy the ability to interact with its destination partners in order to provide real-time support, and ensure important product notifications are delivered. 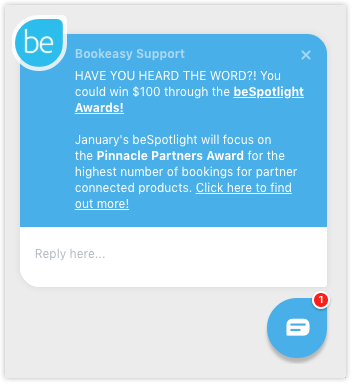 Destination Partners using the Bookeasy Staff Console can access this feature on any page via the chat icon located in the bottom right hand corner of the screen. For those operators linked to multiple booking centres, operators will also be able to filter their search results by one or multiple booking centre. 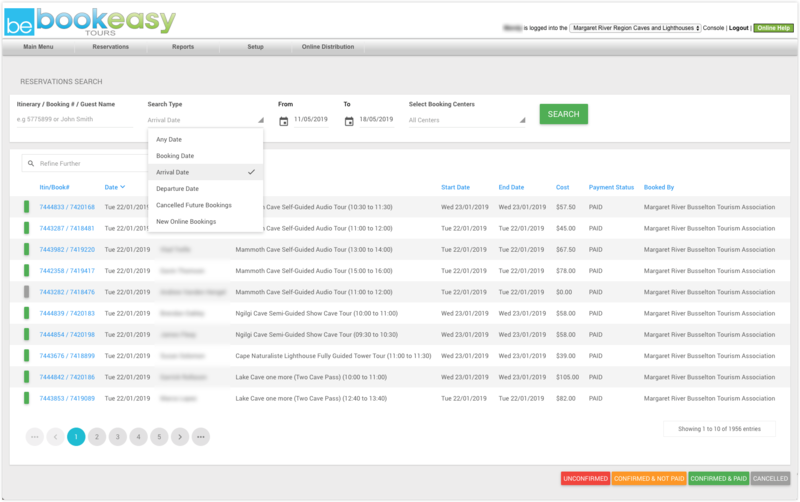 Resolved an issue that could provide operators access to edit bookings managed by a Bookeasy centre. The fix now ensures that bookings made by a centre will be view only in the operator's console. Improvements made in order to ensure the operator booking engine page renders correctly if a customer removes one or multiple items from the shopping cart. Resolved an issue that could prevent booking question answers from sending correctly to Rezdy's API when a Rezdy tour operator is booked. The fix ensures that Rezdy tour operators will receive booking question answers into their reservation system.